Tibetans cheer on a Tibetan team at a soccer tournament in London. Fans say they were pleased and surprised that the tournament organizers didn't succumb to pressure from potential sponsors and dump the Tibetan team to avoid angering the Chinese government. Potential sponsors urged the Confederation of Independent Football Associations, CONIFA, to drop a Tibetan team from a soccer tournament in London for fear of offending the Chinese government. A Chinese Embassy official in London allegedly urged the Durham University students' union to drop Anastasia Lin, a former Miss World Canada and a human rights activist, from a debate on whether China is a threat to the West. Malcolm Rifkind, a former British foreign secretary, participated in the Durham debate. Rifkind served as foreign secretary in the lead-up to the return of the then-British colony of Hong Kong to China in 1997. The Chinese government has been so effective at intimidating Western businesses on this front that sometimes companies do the party's work for it. That's what happened in London this summer at an obscure soccer tournament modeled on the World Cup. The teams were drawn from a hodgepodge of minority peoples, isolated territories and would-be nations, including Tibet. Some potential corporate sponsors were queasy. 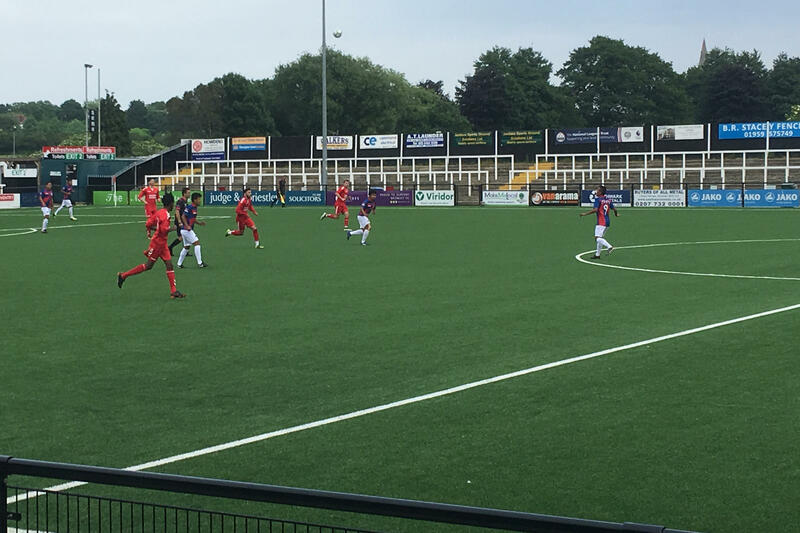 "There were inquiries made as to whether we would consider removing Tibet from the competition," said Paul Watson, commercial director for the Confederation of Independent Football Associations, or CONIFA, which ran the tournament. Watson spoke with one potential sponsor who was apologetic but direct. "Look, I took this to my boss," Watson recalled the sponsor telling him. "It's Tibet. Can you get them out of there? I'm really sorry. It's a terrible thing to ask. We love what you do, but would you remove Tibet?" Watson refused to dump the Tibetans, which he said cost CONIFA more than $100,000 in sponsorship money. Watson said no one from the Chinese government ever approached him, but they didn't have to, because the sponsors already knew the risks. Tibet is a part of China, but many Tibetans hate Chinese rule and believe the government is trying to destroy Tibetan spiritual and cultural identity, not only at home, but also abroad. Potential sponsors were worried about offending Beijing because they'd already seen how other companies were punished when they didn't follow China's official line. In January, authorities suspended Marriott's Chinese website after the hotel group mistakenly referred to Tibet, Hong Kong and Macau as countries. The next month, Mercedes-Benz was forced to apologize for quoting the Dalai Lama, Tibet's spiritual leader, on Instagram. "Look at situations from all angles, and you will become more open," the quote read. Watson said potential sponsors were terrified that if they backed the tournament, they'd be in a business meeting in China a few months later, staring at a photo of their company's logo next to Tibetan soccer players and the Tibetan flag. "It could be a deal-breaker," Watson said. 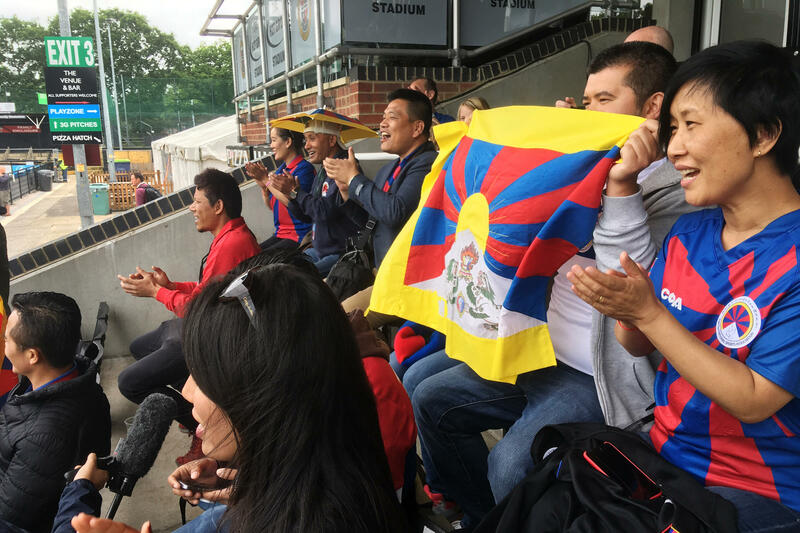 Tibetans in London who turned out to root for their team were grateful and surprised that CONIFA stood up for them. "It's very rare these days that you see people sticking to such principles," said Pema Yoko, a former official with Students for a Free Tibet, "but the more you allow yourself to bend down to China, the more China is going to bully." The Communist Party has spent years trying to control the country's narrative and influence how the world talks about China. Between the Opium War in 1840 and the Communist victory in 1949, foreign powers including Japan and the United Kingdom controlled pieces of Chinese territory during a period the party refers to as the "Century of Humiliation." "One of the contexts for the obsessive way in which Chinese officials can sometimes think about the way that China is portrayed overseas is the fact that, from the mid-19th century to well into the 20th century, China was, of course, not in control of its own destiny," said Rana Mitter, a China scholar at Oxford University. The recent economic boom, which vaulted China from a backward, agrarian society to an industrial powerhouse and the world's second-largest economy, changed all that. "These days China is in a much better position to actually spread [its] narrative," said Mitter, "with, we might say, a much louder megaphone." When groups or institutions in the West don't toe Beijing's line, the Chinese government is now more willing to use its muscle to enforce its views. Last year, the Durham University students' union organized a debate on whether China was a threat to the West. Tom Harwood, then president of the union, said the school's Chinese Students and Scholars Association complained about the topic and pressed him to drop one of the speakers, Anastasia Lin, a former Miss World Canada. Lin is also a human rights activist and a practitioner of Falun Gong, a spiritual meditation group banned by the Chinese government. "Actually, it got to the point where the [Chinese] embassy phoned up our office and started questioning us a lot about the debate, asking if we could not invite Anastasia Lin," Harwood recalled. "It even got to the point where one of the officials at the embassy suggested that if this debate went ahead, the U.K. might get less favorable trade terms after Brexit." "It's just quite shocking that within an institution that was 175 years old, that's prided itself on hosting free speech, free exchange, free debate, that an outside influence was trying to change that or try and stop us hosting a speaker," said Harwood. In a statement, the Chinese Embassy denied pressuring the students' union and said it had never heard of the CONIFA soccer tournament. Malcolm Rifkind, a former British foreign secretary, participated in the Durham debate. He didn't think much of China's alleged tactics. "I thought it was pathetic," Rifkind said. "It's something that the Chinese very foolishly do again and again." Rifkind said that a couple of decades earlier, when China was much weaker and its economy much smaller, it was easy to ignore such complaints. Rifkind served as Britain's foreign secretary as the country prepared to return the then-British colony of Hong Kong to China in 1997. At the time, the United Kingdom's economy was bigger than China's. When the Dalai Lama asked to meet Rifkind, about a year before the handover, he didn't hesitate. "They spluttered," Rifkind recalled. "They complained. They said it was inappropriate, but nothing more than that happened because, at that time, they didn't have the diplomatic weight they have today." Flash-forward to 2012 when then-British Prime Minister David Cameron met with the Dalai Lama in public in London. China's economy was now more than three times the size of the United Kingdom's. Beijing responded by canceling meetings and freezing out British officials. In 2015, Cameron refused to meet the Dalai Lama, who told The Spectator, a conservative political magazine, "Money, money, money. That's what this is about. Where is morality?" The Chinese government no longer just tries to punish the West for straying from the Communist Party line. In the past year, Chinese President Xi Jinping has gone further, arguing that China's authoritarian system can serve as a model for others, an alternative to liberal democracy. Jan Weidenfeld, who runs the European China Policy unit at the Mercator Institute for China Studies, a Berlin-based think tank, says the party's argument runs like this: "Look at where democracy has gotten you? Lots of irrational decisions. You got Donald Trump in the White House. You've got Brexit and we've just got the better model here." Weidenfeld says Beijing's goal is to undermine support for the Western system and wage a broader battle of systemic competition — something that would've been unthinkable just a few years ago. Benedict Rogers, deputy chair of the Conservative Party's Human Rights Commission, said the willingness of some in the West to knuckle under to the Communist Party is part of the problem. Rogers said that a Chinese Embassy official called a member of Parliament last year to try to prevent a conservative website from publishing an article Rogers was writing about China's repressive policies in Hong Kong on the 20th anniversary of the handover. Rogers said that five or 10 years ago, the embassy would've never had the guts to try that. "I think [China's] been emboldened by our weakness over recent years," Rogers said. "Actually, if we'd taken a stronger stand a few years ago, they perhaps wouldn't have been doing this kind of thing now." NPR producer Sam Alwyine-Mosely contributed to this story. NPR is taking a look at China's influence throughout the world. It's well-known that China's government attacks free speech at home, but it's also trying to censor people in Western democracies, those who don't toe the Communist Party line on sensitive topics. As NPR's Frank Langfitt reports from London, it's all part of a grand strategy to change the way the world talks about China. FRANK LANGFITT, BYLINE: In June, a team of Tibetans played in an obscure soccer tournament here modeled on the World Cup. The teams were drawn from a hodgepodge of minority peoples, isolated territories and would-be nations, including Tibet. But some Western corporate sponsors didn't want the Tibetans to play. Paul Watson is the commercial director for CONIFA, which ran the tournament. PAUL WATSON: We had four significant sponsorship deals that reached late stages of negotiations, and there was inquiries made as to whether we would consider removing Tibet from the competition. LANGFITT: The reason was China. Tibet is a part of China, but many Tibetans hate Chinese rule, and the Chinese government tries to stamp out anything that suggests a separate Tibetan identity. Potential sponsors were so worried about offending Beijing, they pressed China's agenda themselves. WATSON: I did have off the record with someone who said, look; I took this to my boss. It's Tibet. Can you get them out of there (laughter)? And he apologized. You know, he said, I'm really sorry. It's a terrible thing to ask. We love what you do, but would you remove Tibet? And I said to him, well, you clearly don't love what we do because what we do is Tibet. LANGFITT: The sponsors had seen how China had punished firms that strayed from its official line. In January, authorities suspended Marriott's Chinese website after the hotel group mistakenly referred to Tibet, Hong Kong and Macau as countries. The next month, Mercedes was forced to apologize for quoting the Dalai Lama, Tibet's spiritual leader, on Instagram. Watson understands why sponsors were scared of backing his soccer tournament. WATSON: I imagine it's that photograph they're terrified of. You know, six months down the line, they're at a business meeting in China and that photo emerges and it's their company's logo, and there's Tibetan footballers in the Tibet shirt with the flags and, yeah, that could be a deal-breaker. LANGFITT: Watson refused to dump the Tibetans, which cost him more than $100,000 in sponsorship money. Tibetan fans were grateful and surprised. Pema Yoko used to work with students for Free Tibet. PEMA YOKO: It's very rare these days that you see people sticking to such principles and being on the right side of history. But the more you allow yourself to bend down to China, the more China is going to bully. LANGFITT: When groups don't toe Beijing's line, sometimes the Chinese government applies direct pressure. TOM HARWOOD: Speaking for the proposition, we have two illustrious speakers. LANGFITT: Last year, the Durham University Students' Union organized a debate on whether China was a threat to the West. HARWOOD: After we published the debates, we started getting a lot of emails from the Chinese Students and Scholars Association. LANGFITT: Tom Harwood was president of the union then. He said Chinese students complained about the topic and pressed him to drop one of the speakers, Anastasia Lin, a former Miss World Canada. Lin's also a human rights activist and a member of a spiritual meditation group banned by the Chinese government. Again, Tom Harwood. HARWOOD: Actually, it got to the point where the embassy phoned up our office and started questioning us a lot about the debate, asking if we could not invite Anastasia Lin. And it even got to the point where one of the officials at the embassy suggested that if this debate went ahead, the U.K. might get less favorable trade terms after Brexit. HARWOOD: It's just quite shocking that within an institution that was 175 years old that's prided itself on hosting free speech, free exchange, free debate, that an outside influence was trying to change that or try and stop us hosting a speaker. LANGFITT: In a statement, the Chinese Embassy denied pressuring the union. Sir Malcolm Rifkind, a former British foreign secretary, was one of the speakers at the Durham debate. He didn't think much of China's alleged tactics. 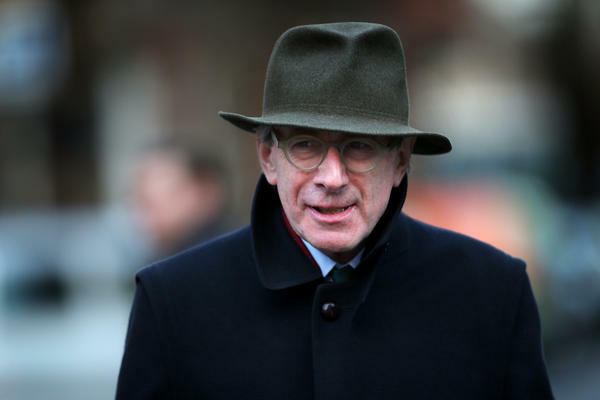 MALCOLM RIFKIND: I thought it was pathetic. It's something that the Chinese very foolishly do again and again. LANGFITT: Beijing has spent years trying to influence how the world talks about China, and Rifkind says when the country was much weaker, it was easy to ignore. RIFKIND: When I was foreign secretary, I was involved in the final stages of the negotiations over the transfer of Hong Kong back to China. And at one stage, the Dalai Lama was going to be in the United Kingdom, and I told my office that I would be very happy to see him. They spluttered. They complained. They said it was inappropriate. But nothing more than that happened because, at that time, they didn't have the diplomatic weight that they have today. LANGFITT: Rana Mitter says there are important reasons why China wants to frame its global image. Mitter's a China scholar at Oxford University. RANA MITTER: One of the contexts for the obsessive way in which Chinese officials can sometimes think about the way that China is portrayed overseas is the fact that for the best part of 150 years, China was, of course, not in control of its own destiny. LANGFITT: It was a period when foreign powers carved up China, which the government calls the century of humiliation. The government's recent economic boom changed all that. MITTER: These days, China is in a much better position to actually spread that narrative, talk about itself in those terms with, we might say, a much louder megaphone. And that is creating some cognitive dissonance, I think, for some parts of the American establishment, which maybe for a long time thought that democracy was not the only way that China could go but the only way that any country could possibly go. LANGFITT: Now, Chinese President Xi Jinping has gone further than past leaders, arguing that China's authoritarian system is a model for others, an alternative to liberal democracy. Jan Weidenfeld is with the Mercator Institute for China Studies, a Berlin-based think tank. JAN WEIDENFELD: What they would do is just point fingers and say, well, look at where democracy has gotten you - lots of irrational decisions. You've got Donald Trump in the White House. You've got Brexit. And we just got the better model here. LANGFITT: Weidenfeld says the goal is to undermine support for the Western system. WEIDENFELD: When young people, for instance, get asked about the attractiveness of the Chinese model, they won't say, well, actually it's quite attractive. So it's really ultimately about systemic competition. LANGFITT: And who wins. Clumsy attempts to censor people, as in the case of the Durham University debate, have backfired. But China's had success intimidating businesses, as apologies by Marriott and Mercedes-Benz show. Benedict Rogers says knuckling under only encourages the Chinese government. Rogers works here with the Conservative Party's Human Rights Commission. BENEDICT ROGERS: Actually, if we'd taken a stronger stand a few years ago, they perhaps wouldn't have been doing this kind of thing now. LANGFITT: Is this partly the fault of the West, people in the West who just roll over? ROGERS: Yes. It is absolutely the fault of people in the West for not taking a stronger stand for our values earlier on and for essentially kowtowing to China. LANGFITT: China is on track to become the world's largest economy, which will only give it more financial firepower to try to shape its global image and argue that its system is better. Frank Langfitt, NPR News, London. Transcript provided by NPR, Copyright NPR.